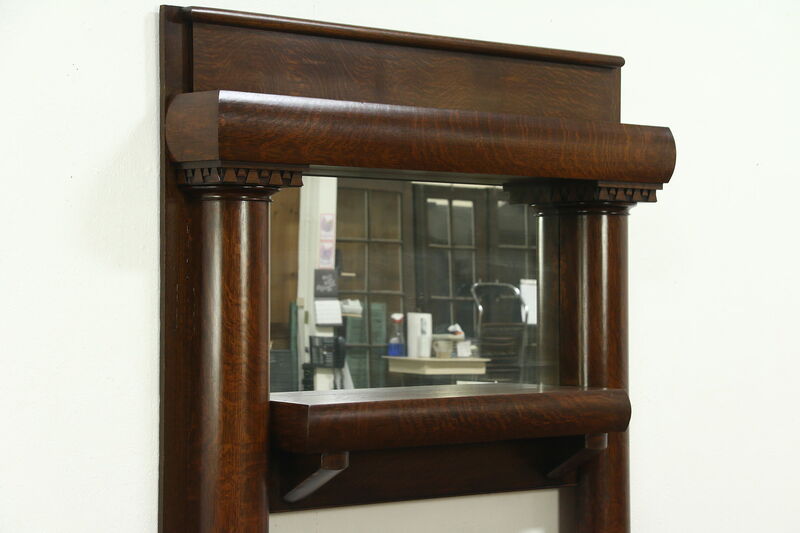 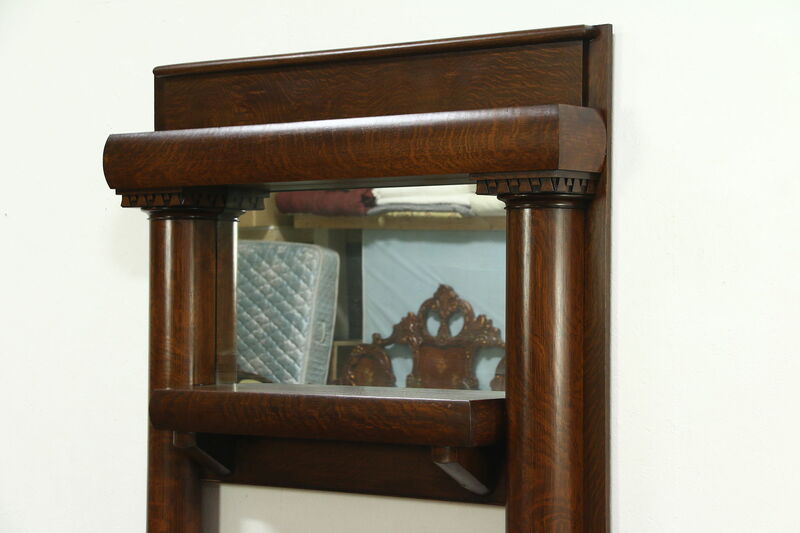 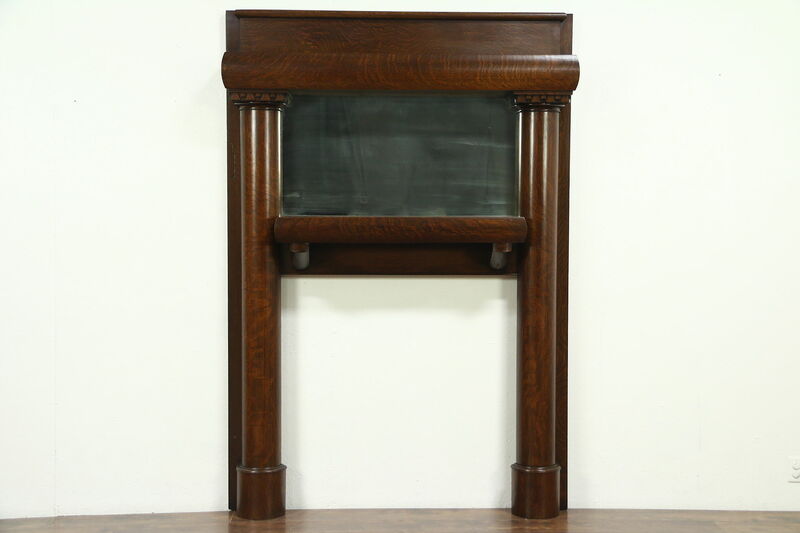 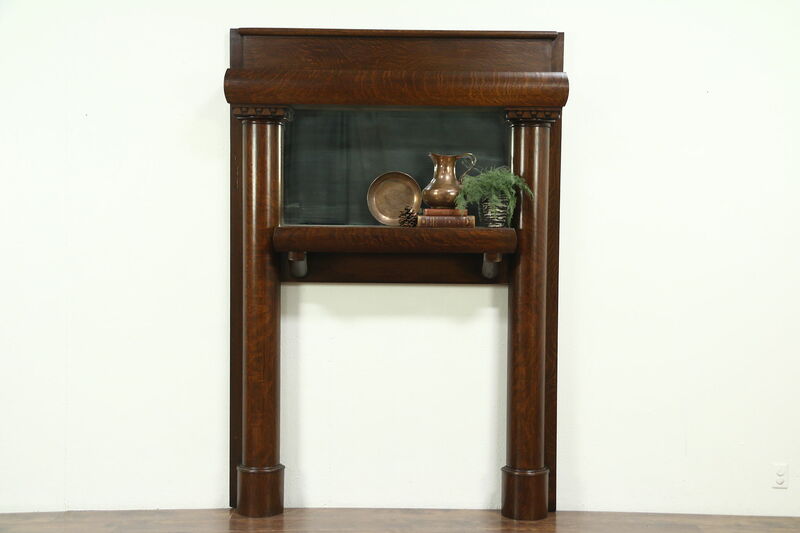 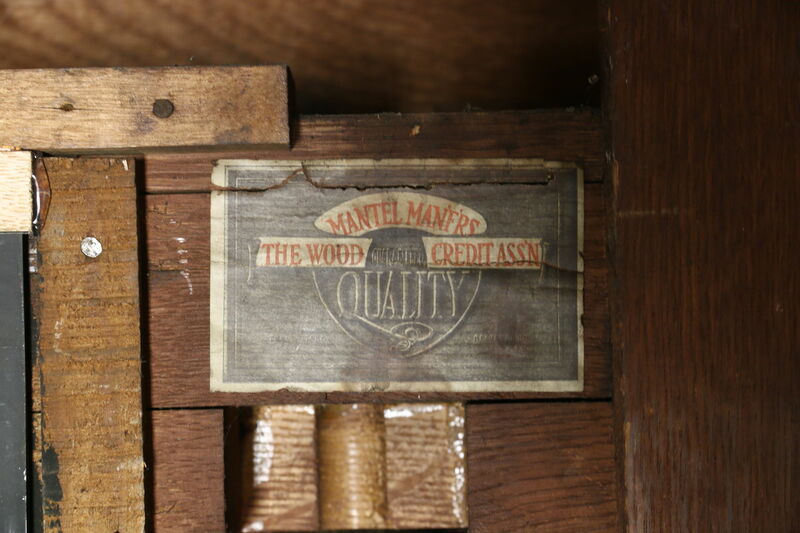 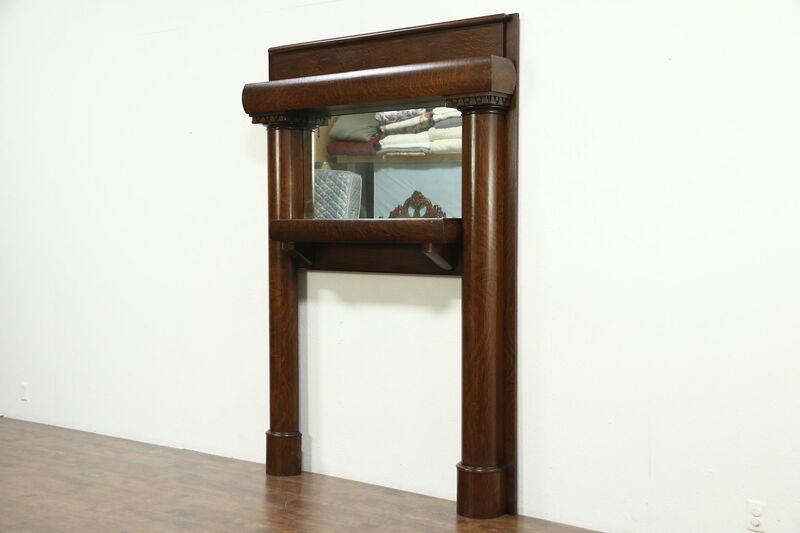 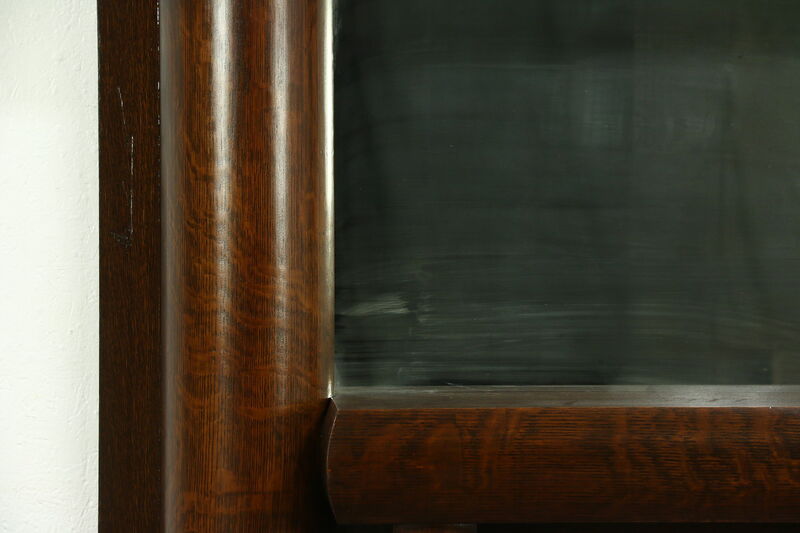 A bold architectural salvage fireplace mantel in quarter sawn oak is signed on the mirror back, "Tyler & Hippac(h), Chicago, May 29, 1909," and also "The Wood Mantel Manufacturer's Credit Association." 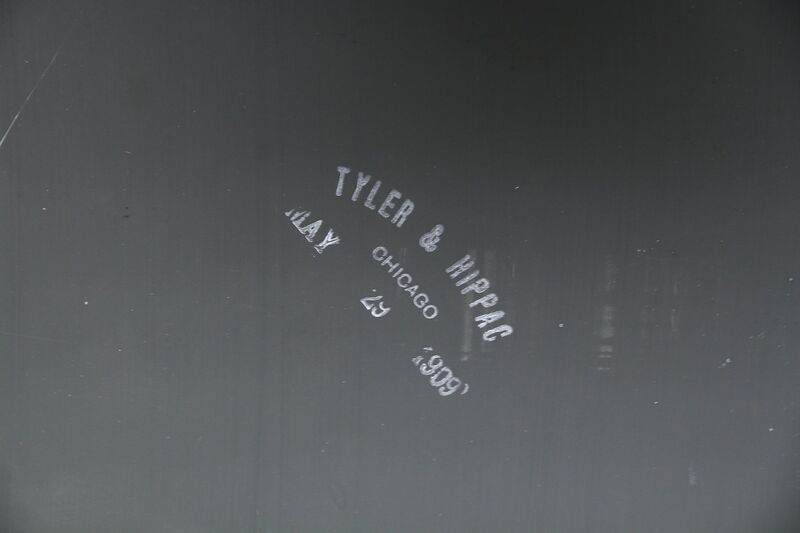 The wife and daughter of Louis Hippach of Chicago were among the survivors on the Titanic. 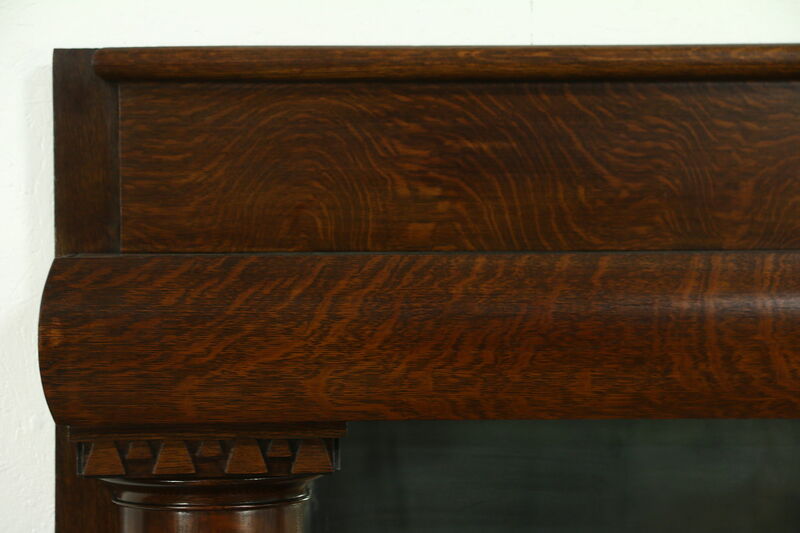 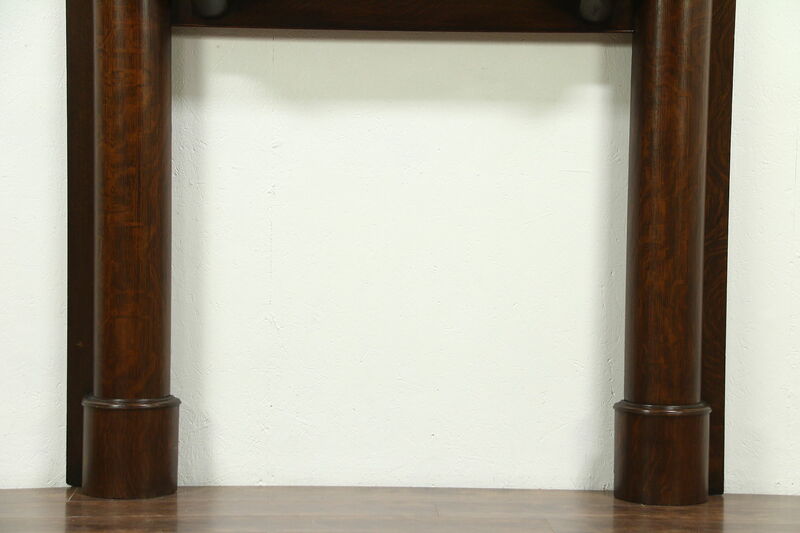 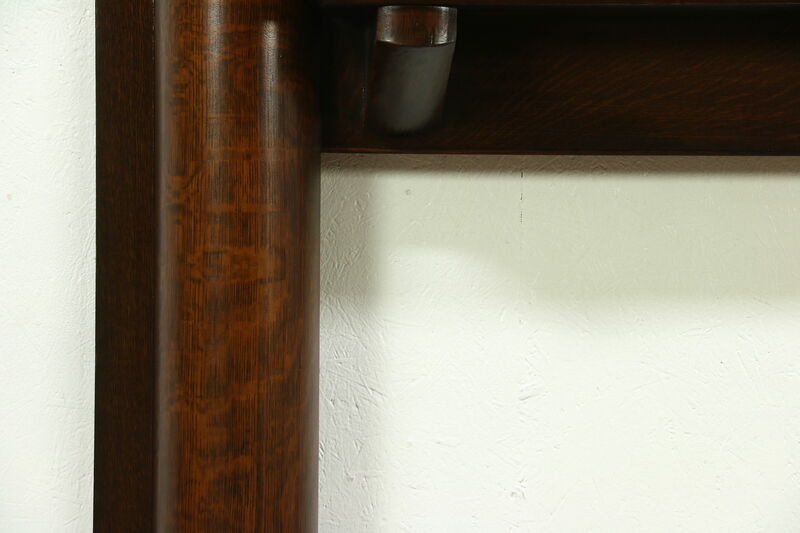 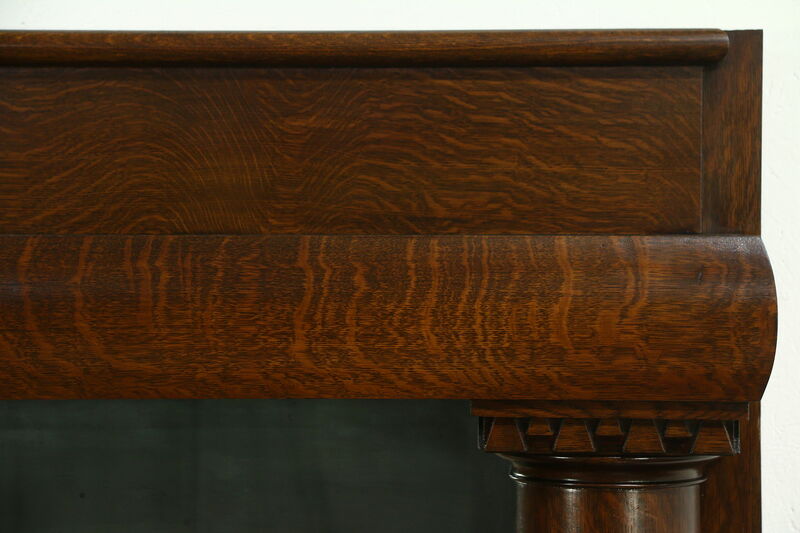 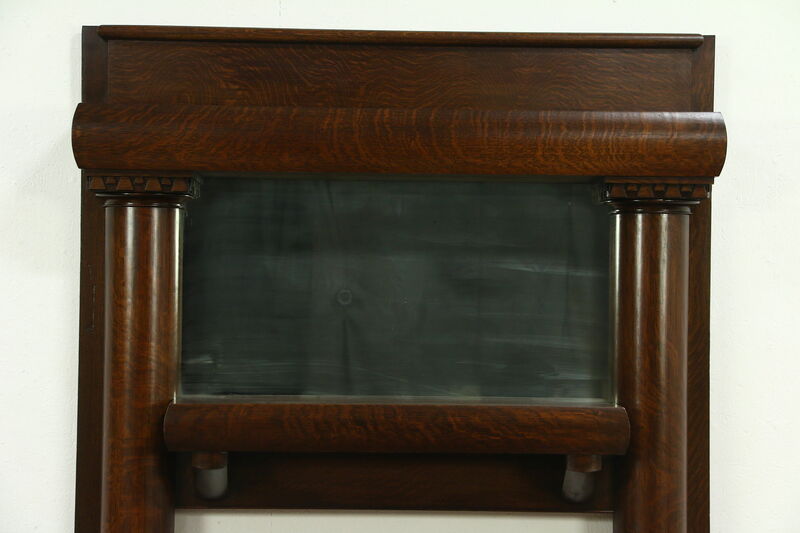 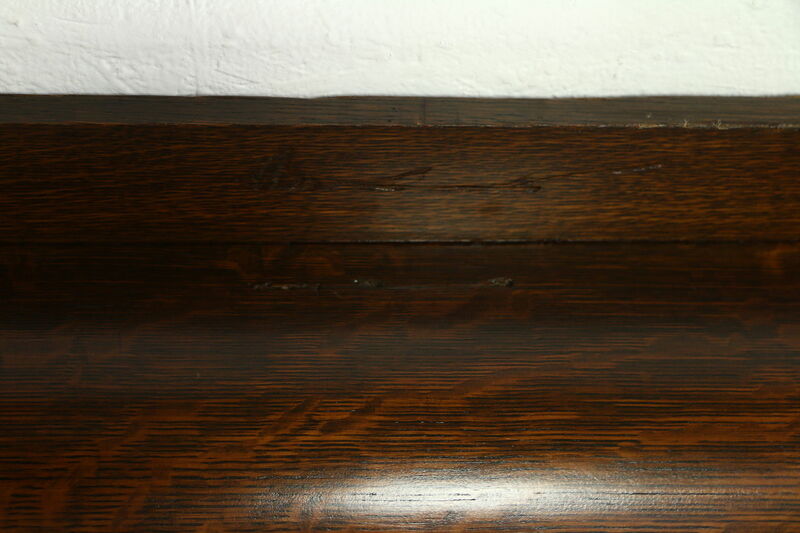 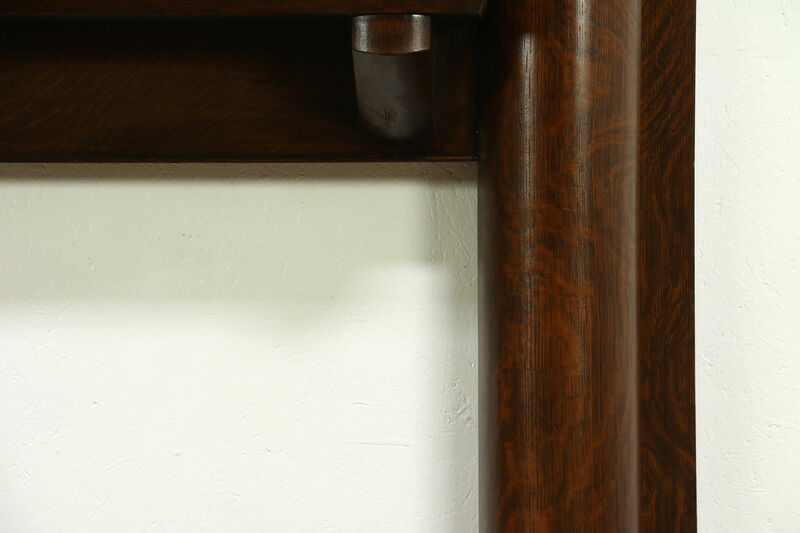 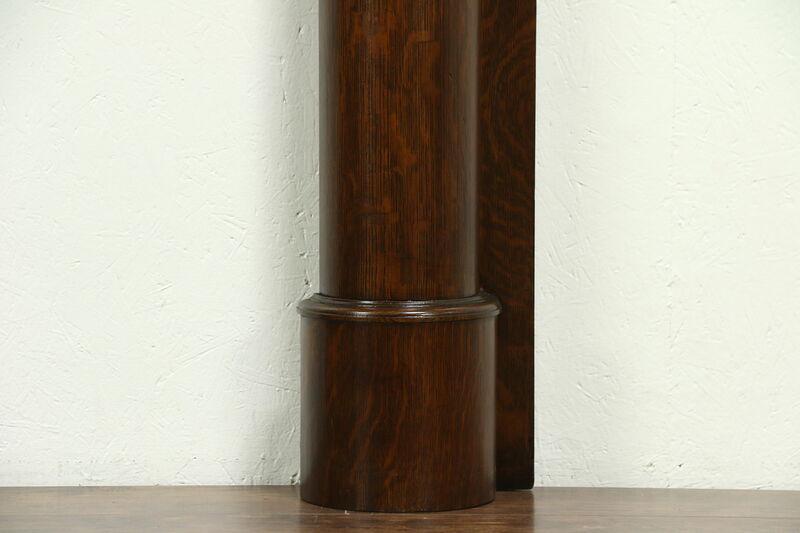 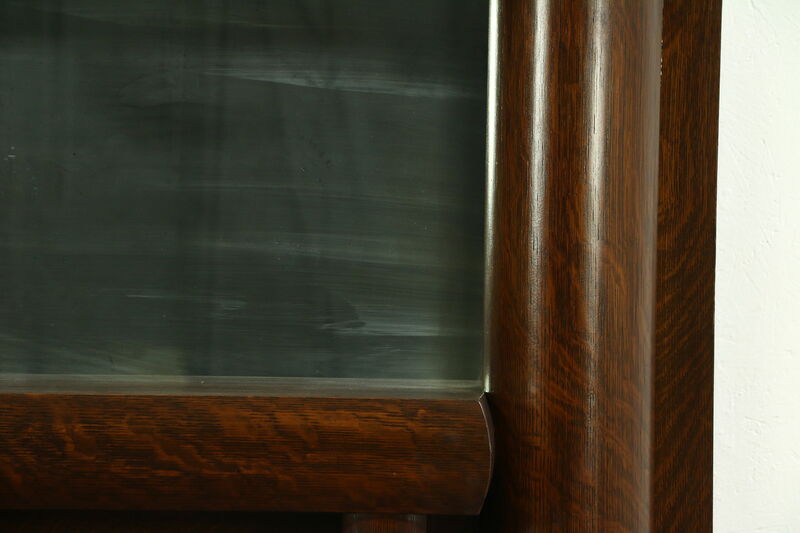 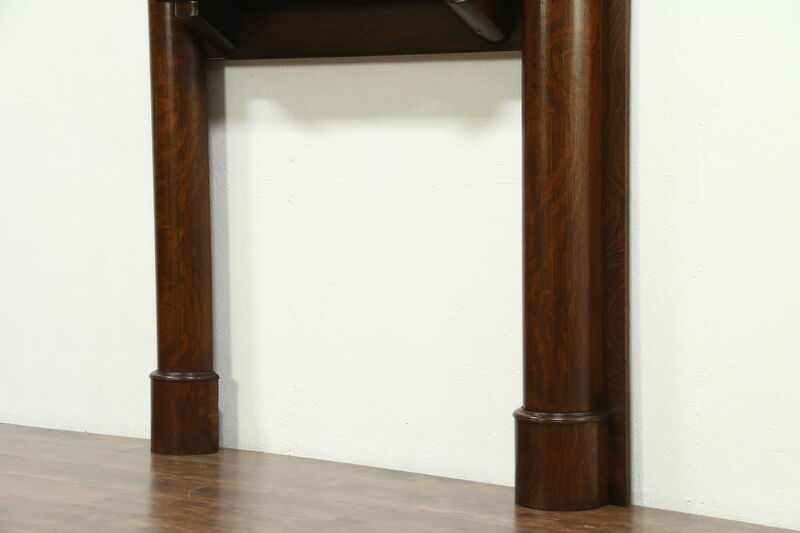 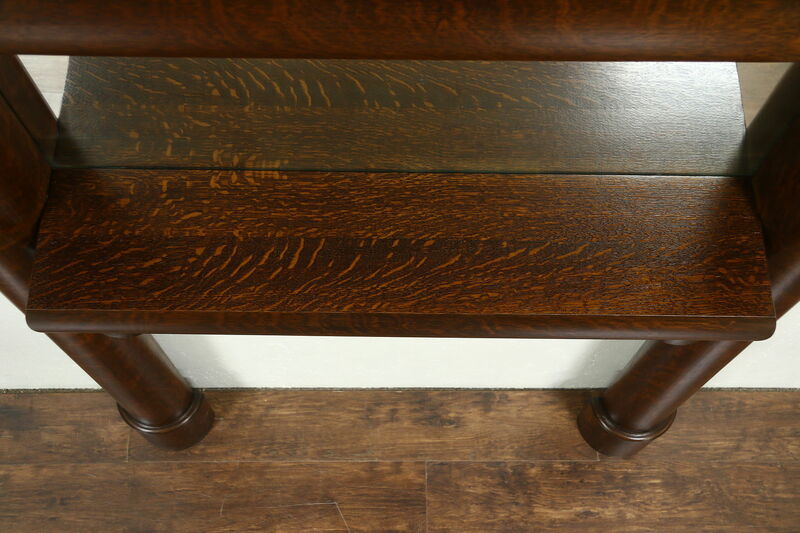 The renewed deep finish is in excellent condition on this grandly scaled American made antique furniture. 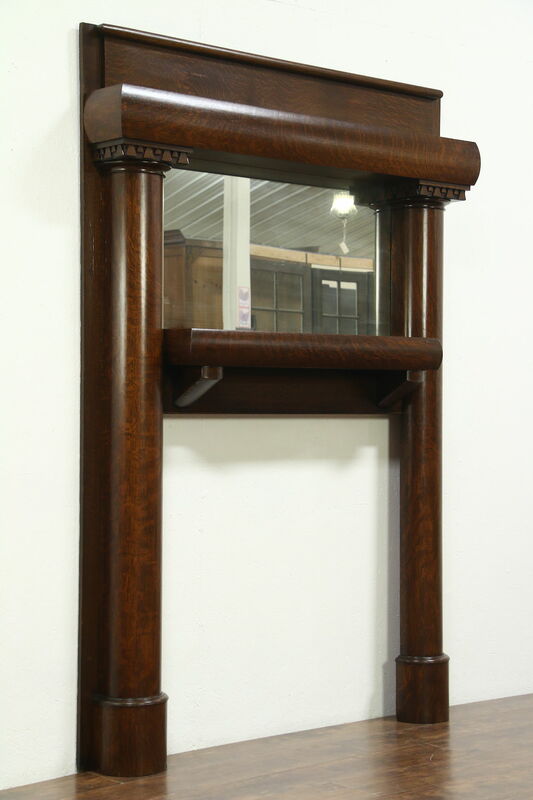 There is "smoke" from age in the original mirror, if this is not charming, it could be resilvered or replaced. 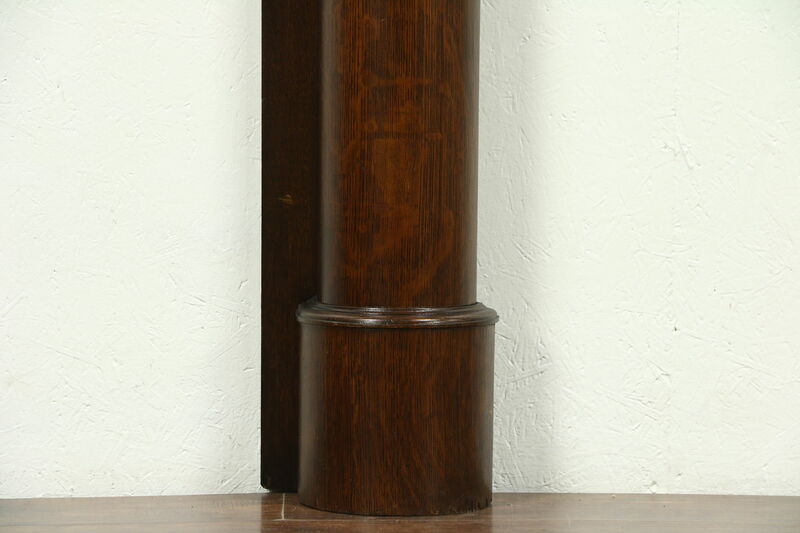 The distinctive design shows Craftsman influence. 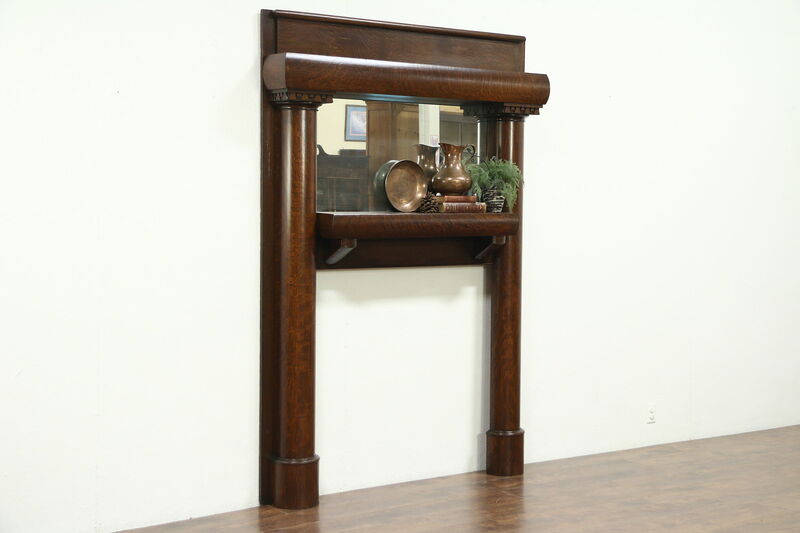 Measurements are 5' wide, 88" tall, 10" deep and the fire opening is 41" wide and 42" tall.